If you build it, they will come. Many of us know the movie about a farmer who tears down his cornfield in order to build a baseball field. In the movie, many people scoffed and were confused about what he was doing. I hope there is no confusion about what we are building here at Aldersgate Preschool. We are building a community of love and acceptance based on the strong foundation of Christ. We are building a place full of discovery, play, fun and learning fro young children. We are building strength of unity among our staff. We are building trust among young families. We are building a family. 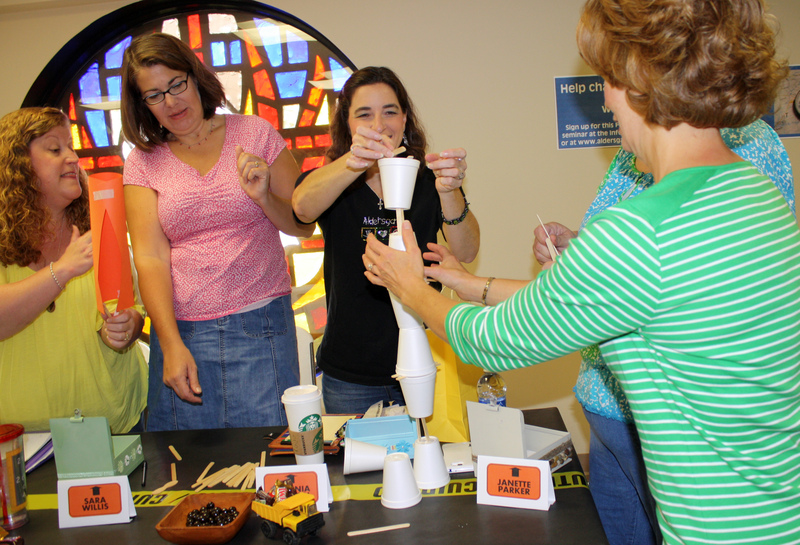 As the staff returned to work this year we had a wonderful staff meeting based on the theme of building. 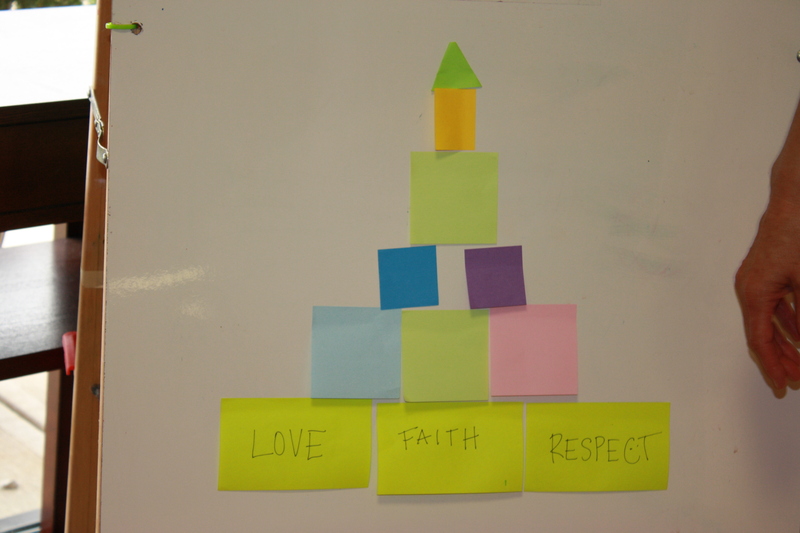 We talked about many different aspects of building with strength and how those apply to what we do here at Aldersgate. It said a lot to me that the groups came up with the same ideas and sometimes even the same words. I added my own word in addition to theirs: grace. 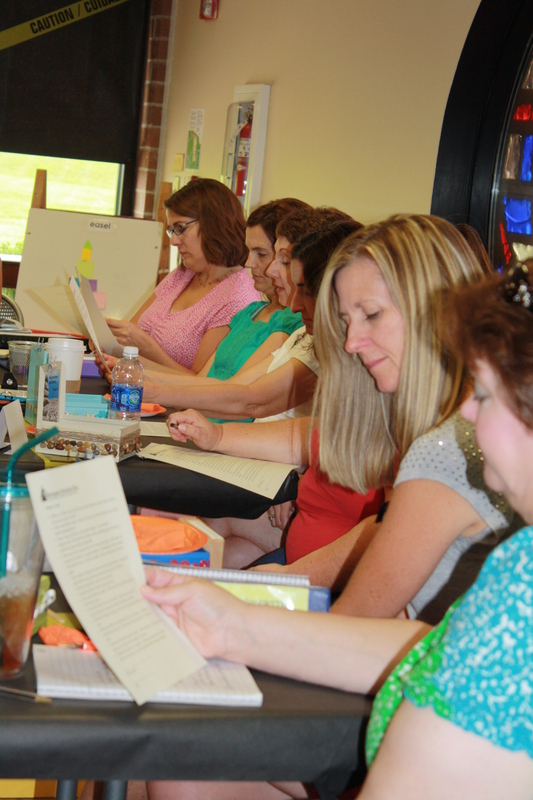 Each staff member endorses a set of creeds we hold true. Every year we re-affirm our commitment to those beliefs. 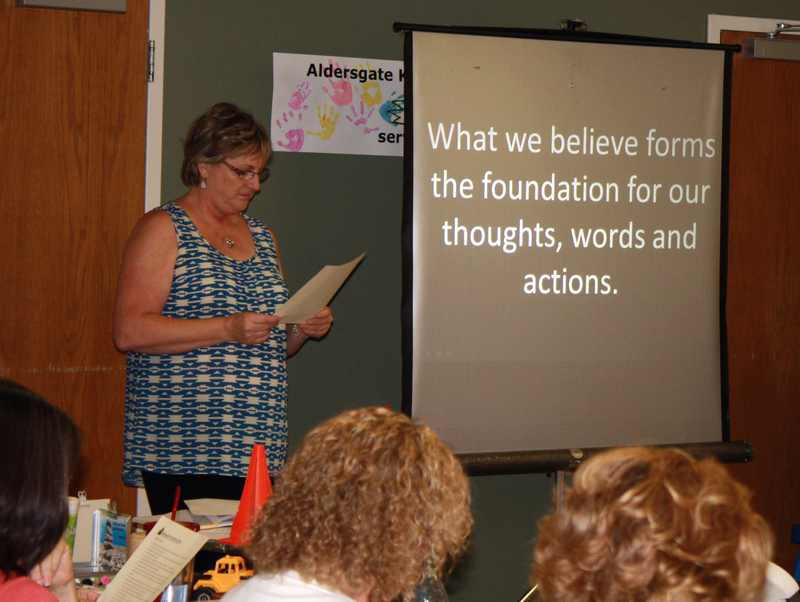 Our teacher’s creed is a foundation for what we do. Building a team. Many people are often amazed that we can have 27 women working together with little (if any) drama. We are a team. 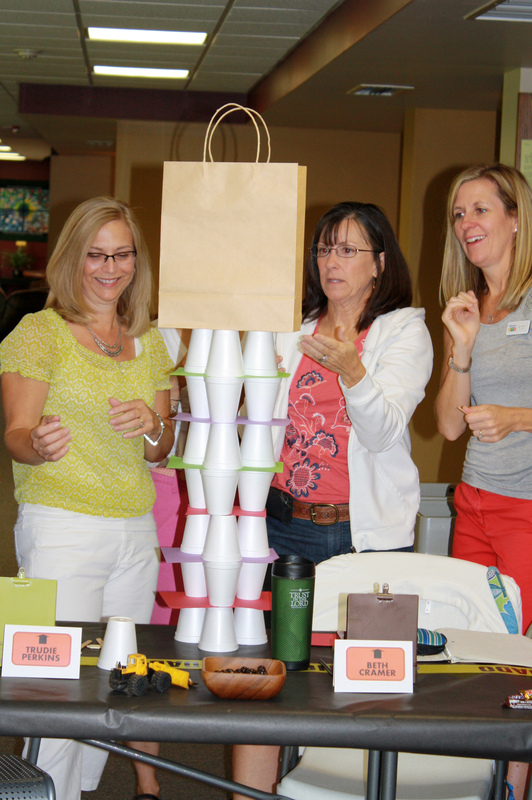 We did an activity that had teams building the tallest tower they could with the supplies available. I love the collaboration each team incorporated within their group. After the activity, I mentioned that I had not said the groups could not collaborate together. We talked about the importance of taking care of our own areas but most importantly taking care of each other and EVERYONE who enters. I love that our teachers greet every child and attempt to get to know their names and families. We are a team. Building connection. THANK YOU to everyone who filled out the survey I sent home this summer. It was a fun surprise for our staff when we played a modified version of the TV game show Family Feud. 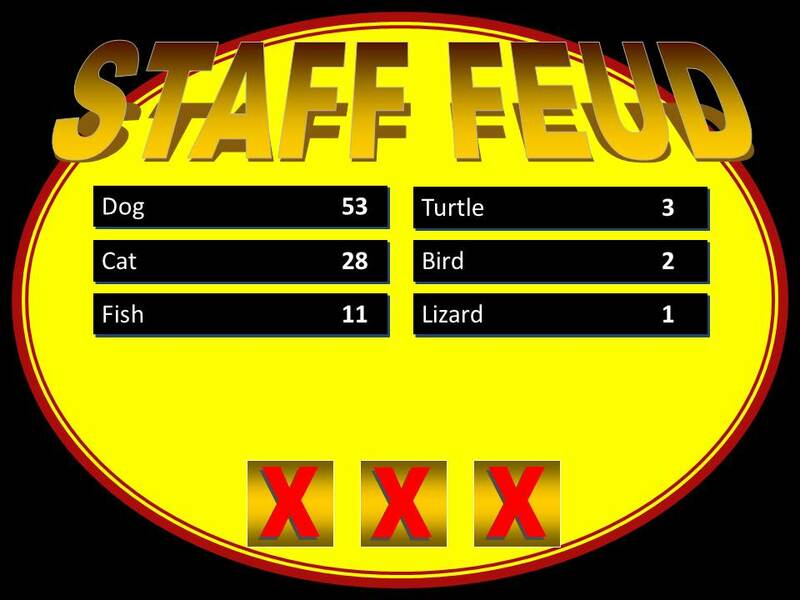 “STAFF FEUD” was a great way for us to connect through knowledge about our families. We surveyed 106 of our Aldersgate families and the top 6 answers to a question are on the board. The staff did very well at guessing the most popular answers to our questions. They already know you pretty well. We were surprised at how many families responded that they know no other or only one other family currently attending Aldersgate. Our board members were also surprised by this information. (By the way, the board also played a shortened version of the game.) We take that information and know that we need to provide opportunities to help you connect with each other. You are the best support group each other can have. I also know you are all busy, busy, busy and this post is getting very lengthy. I evidently have MUCH to share about our staff meeting. Watch for PART TWO coming soon. I am anxiously waiting for Part Two. Good stuff always comes out of Aldersgate preschool! Thank you for your heart and all your hard work! This is my daughter’s first year at Aldersgate, but already we feel like family! I know that takes intentional effort on your part as well as the staff. Thank you! Rachel, I am so glad to know you are feeling comfortable and welcomed here. We are looking forward to a great year together.